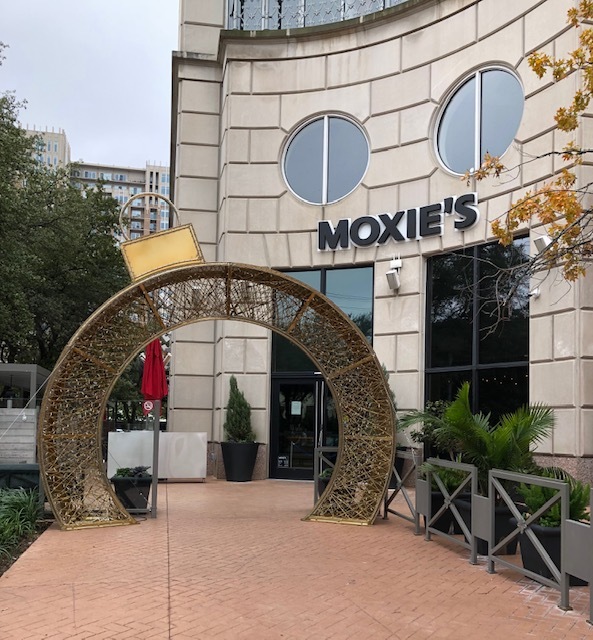 Moxie’s Grill and Bar is one of the best destinations in Uptown for food, drinks and a great night out. The vibrant Canadian restaurant and bar offers an internationally-inspired menu with housemade dishes and hand-crafted cocktails. 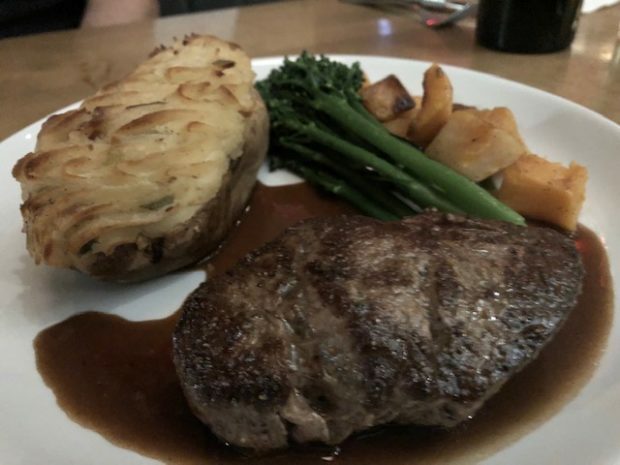 My guest and I stopped by Moxie’s in Dallas for a late-night dinner and enjoyed every minute of it. 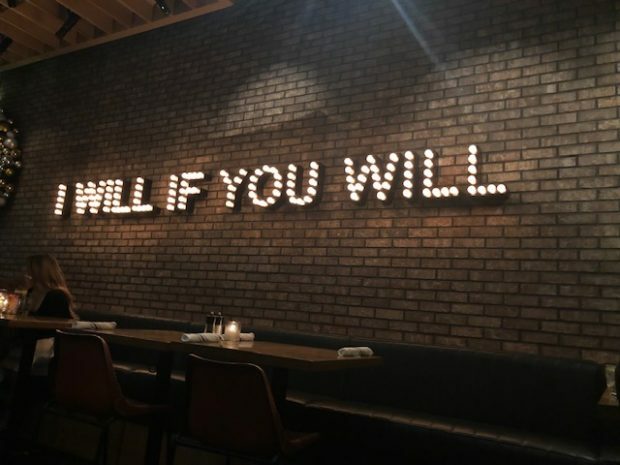 Their kitchen is open until 2 a.m. on the weekends, which makes for a great spot after you hit up the bars on McKinney Ave. or a game/concert at the American Airlines center. Moxie’s put an inventive spin on its cocktail menu and serves up drinks like the avocado gimlet and a margarita infused with strawberries and ghost pepper. Aside from cocktails, you can also choose from an array of beers and wines. 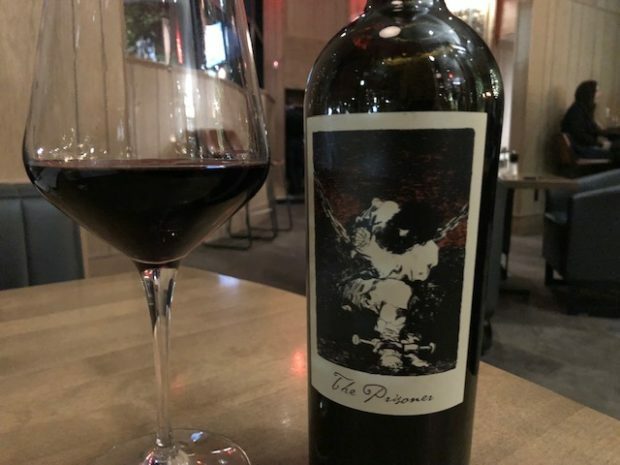 My guest and I ordered a bottle of The Prisoner Red Blend from Napa Valley, which balanced well with our meals. The prices on the bottles surprised us. This one was just $77 when we usually see Prisoner for well over $100 at other restaurants! The appetizers list has a mix of selections from New American to Asian-inspired tastes. I had to order the sushi cones… it just sounded fun and delicious! 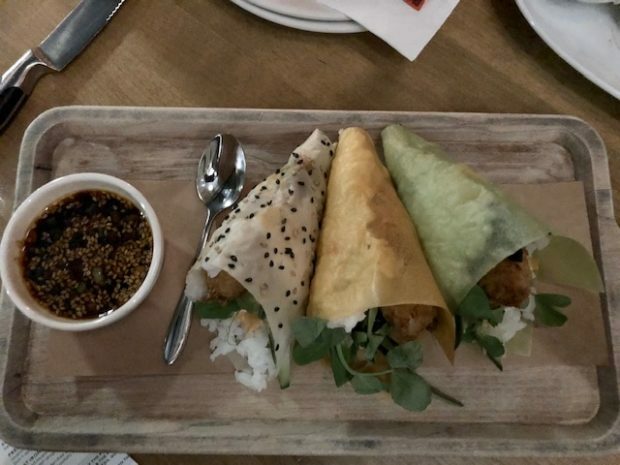 Each of the three sushi cones have a different taste, such as tempura shrimp, fresh avocado and pea shoots and nori crisps. Dip them in the sesame chili ponzu sauce for even more flavor. The hand-rolled tempura sushi is another starter I’d recommend if you enjoy seafood. 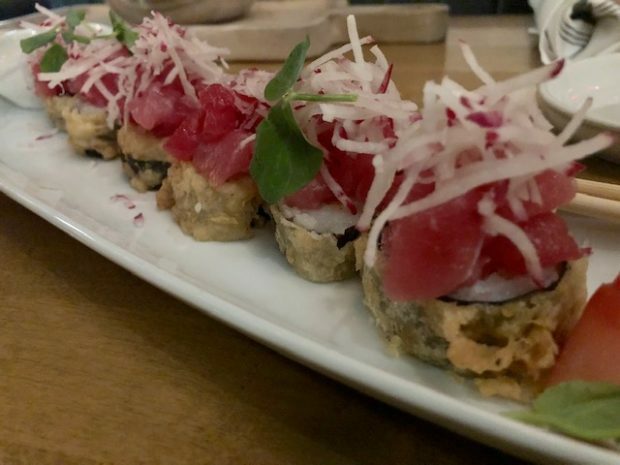 These fried bites come with spicy sushi grade ahi and soy sauce. 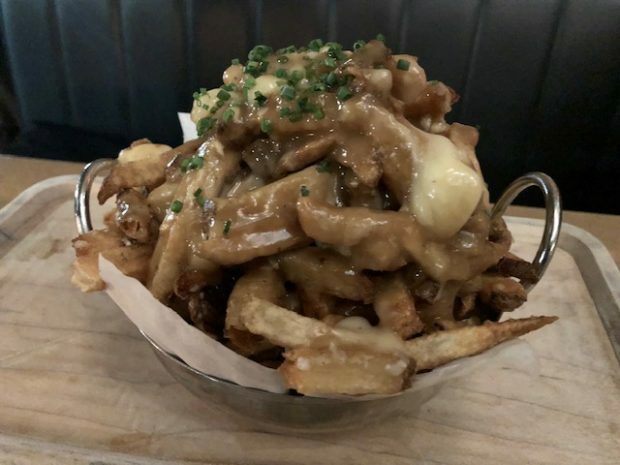 Here’s an appetizer that’s perfect for a group, the Poutine. It’s an easy one to snack one, and the fries are topped with hot beef gravy, cheese curds and fresh chives. I opted for the chipotle mango chicken, a popular seasonal dish according to my server. The sweet mango flavor paired well with the chipotle sauce. 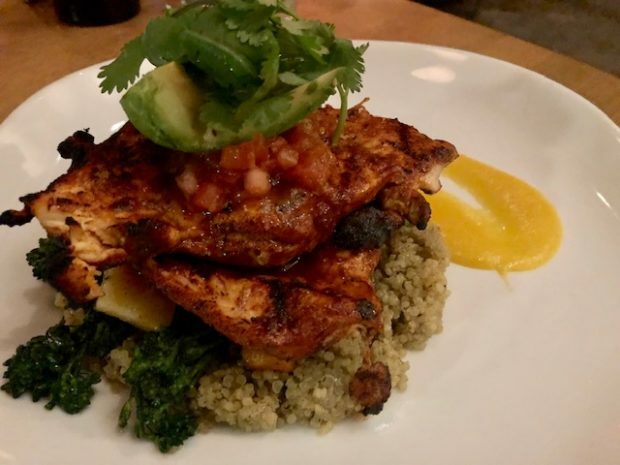 This dish also comes with two chicken breasts on top of quinoa, along with avocado & salsa fresca. It’s a huge dish, and I did not mind leftovers the next day! 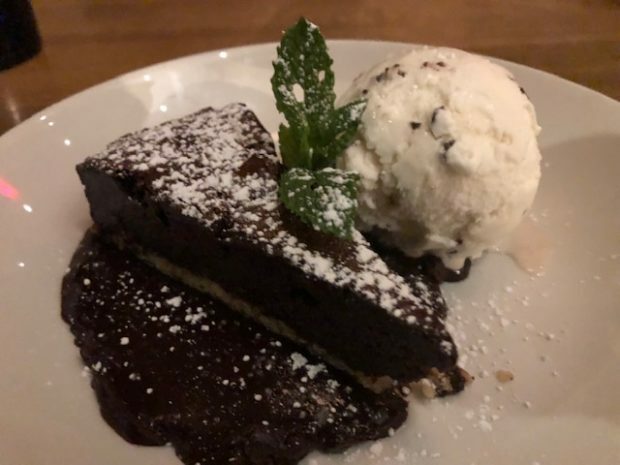 I never say no to dessert… even if it’s just one bite. My guest and I went to town with the flourless chocolate cake (below). It’s a rich double chocolate cake with almond and coconut. As an added bonus, there’s a scoop of mint chocolate chip gelato on the side. If you’re headed to Moxie’s this season in Dallas or Plano, share your photos on social media using their holiday hashtag, #MerryMoxies. Don’t forget to stop by for weekend brunch or happy hour from Monday-Friday (3-6 p.m.) Enjoy!